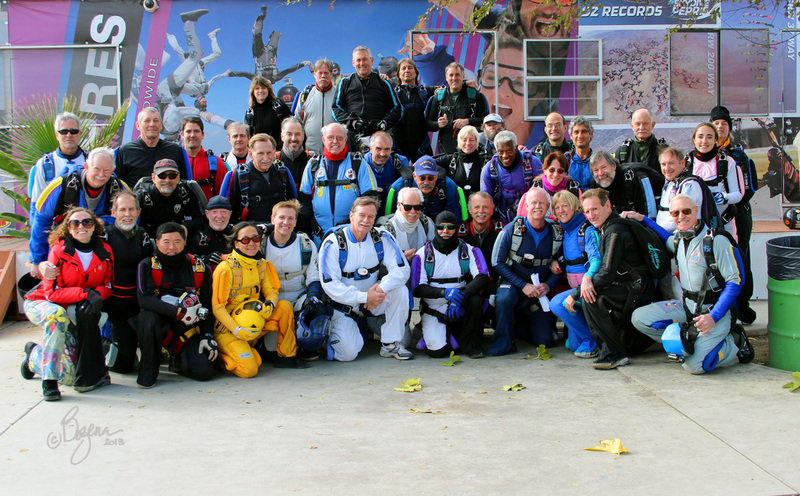 Throughout our years of creating a welcome and friendly atmosphere at Perris we have noticed a gap between Fun jumps and the World Class big-way events. "Mark & Darryld 40ish ways" fill this gap with a low-pressure big-way setting. We provide one-on-one feedback to build on existing skills and learn new ones with positive-mode evaluation and problem solving. Please understand that if you respond that you want to participate but we ask you not to, we do so for your safety and the safety of others in the group. We would be happy to work with you at another time. Have you done several Mark & Darryld 40ish Ways and are ready to step it up a few notches? As always the environment will foster fun and learning and laughter, but we are also aiming to do some very challenging jumps and everyone should come ready all of the above! 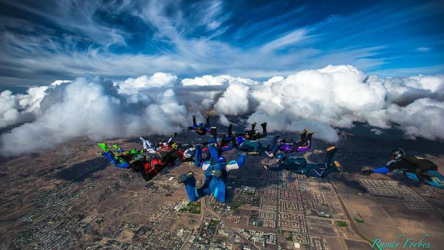 The goal of the Wuest Ways Skydiving group is to have some good safe sky fun together. We are not a teaching load so we expect that you can look at the video and critique your own problems and work on fixing them. Since we are not a teaching load it is necessary that you are at a level where we can put you in most any position with the confidence that you will be able to fly to your slot safely and somewhat quickly and smoothly. Our loads are usually in the 20+ range give or take. We often have enough to do formation loads but the main goal is to have fun with our friends! If you think this sounds like what you're looking for contact us or if you are currently jumping with some of the most awesome Perris Load Organizers ask one of them if they think this would be a good load for you. We hope to see your smiling face across the sky soon!